I am a huge fan of any stir-fried noodle dishes, and my favorite is definitely the Hong Kong-style Chow Mein my Dad cooks. 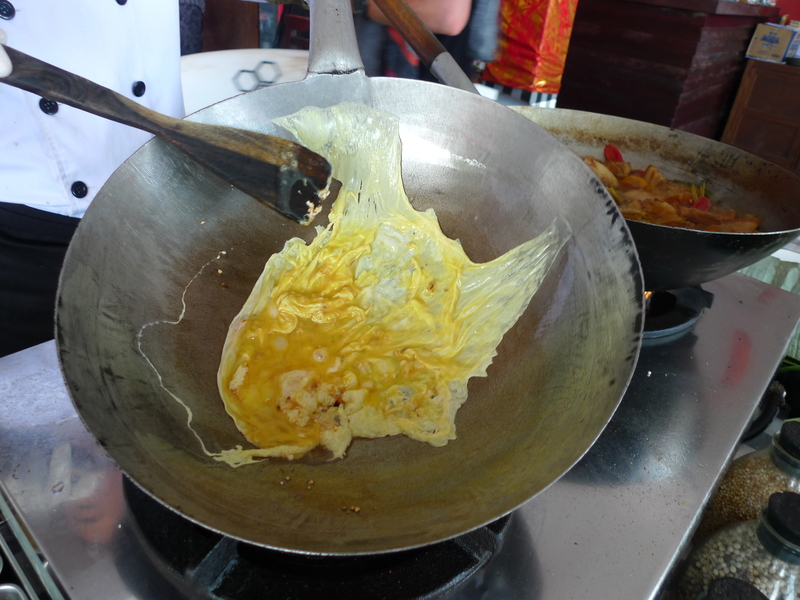 Thus, it was unsurprising to find an equal love for the Mee Goreng dish upon my move to Southeast Asia. 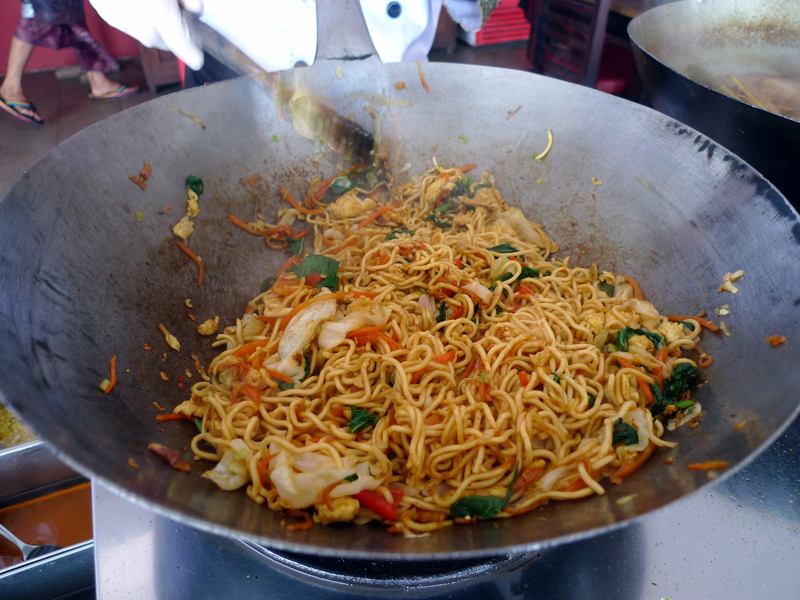 Mee Goreng derived from Chinese chow mein, which was most likely was first introduced by Chinese immigrants to Indonesia, Singapore, and Malaysia. 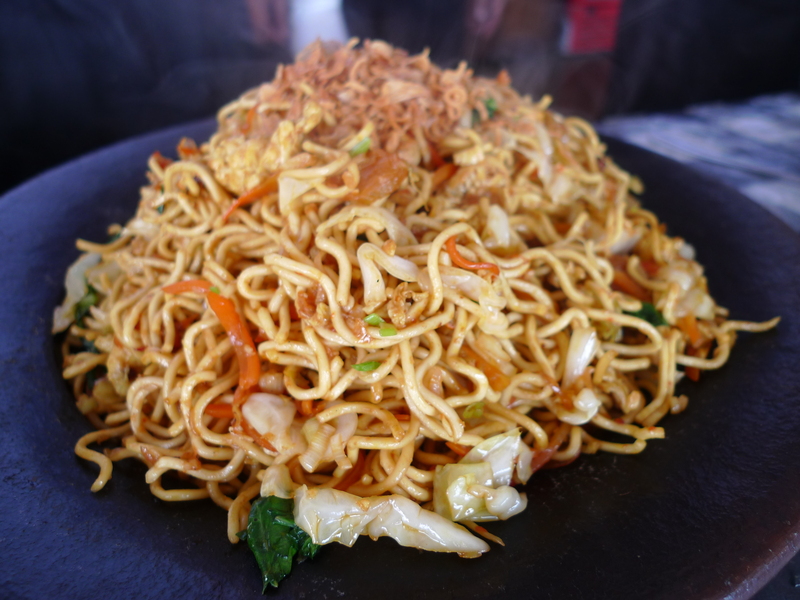 The dish also bears a strong resemblance to Japanese Yakisoba. Every country has their own version of Mee Goreng. I am not a huge fan of the one that is often found in Singapore hawker stalls due to its very unnatural fluorescent red color… however, I do love the Indonesian version which I was first introduced to during my Balinese Cooking Class. The incorporation of the sticky, sweet soy sauce and spicy sambal made for a delicious stir-fried noodle dish that was savory and tangy with a kick. Saute chicken meat and the shrimp. Add the garlic and the beaten egg. Add the lettuce, cabbage, leek, and carrots and cook until softened. 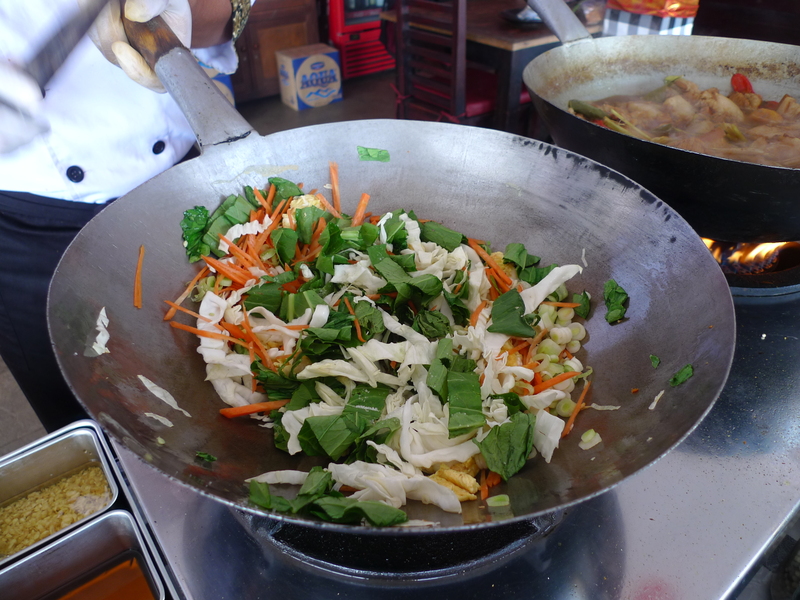 Add the noodles and the sambal, salt, pepper, sweet soya sauce, fish sauce, and mix thoroughly. Garnish with fried shallots before serving. Yum, this looks so delicious.